Info: Clear water and great coral formations. 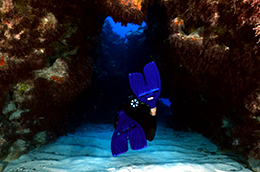 A natural tunnel in the reef starts at 35′ and exits at 45′. Caverns and sand channels abound in the area.